junior synonym sculptior (Cardiocondyla wassmanni Sants. var. sculptior n. var., Santschi, 1926b: 241, worker) from Gabon, Sam Kita, collector F Faure . Santschi's (1926b) descriptions of wassmanni and sculptior are at . 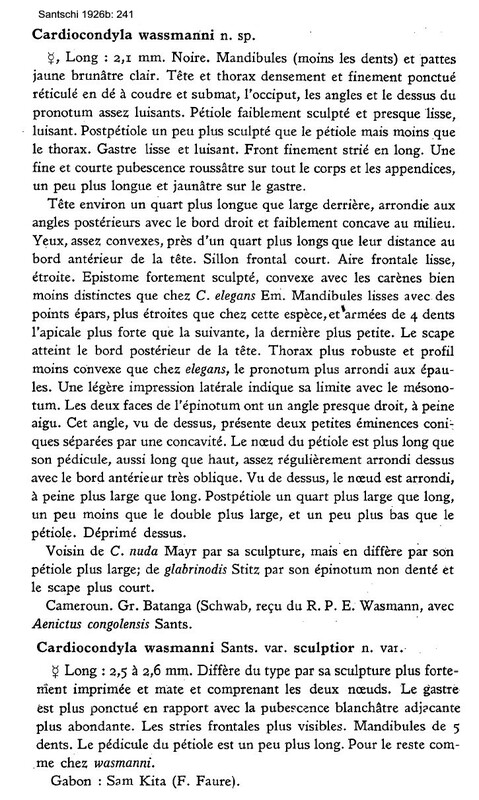 Santschi (1932a: 388) gave an illustrated comparison of wassmanni and sculptior, this is at . 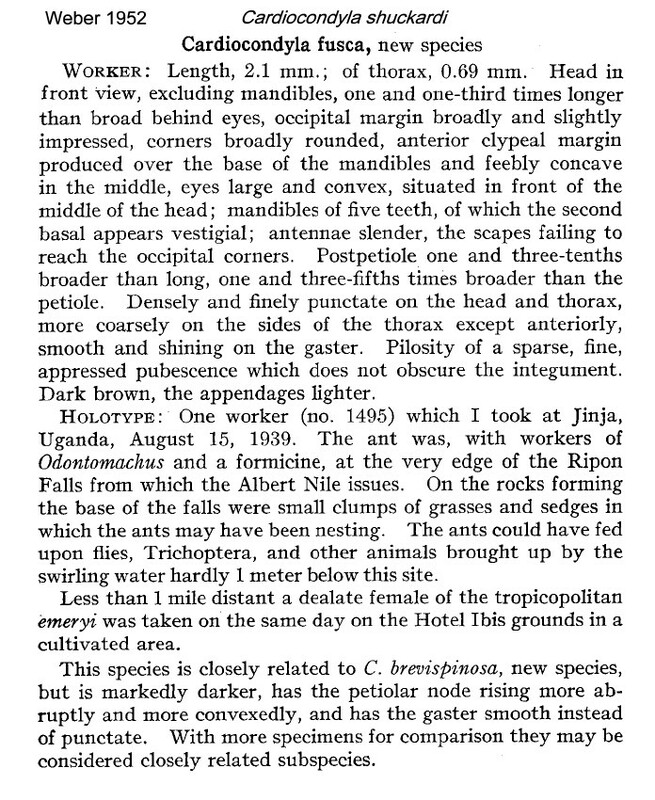 Weber's (1952) description of fusca is at . Bolton's (1982) modern description under shuckardi is at . 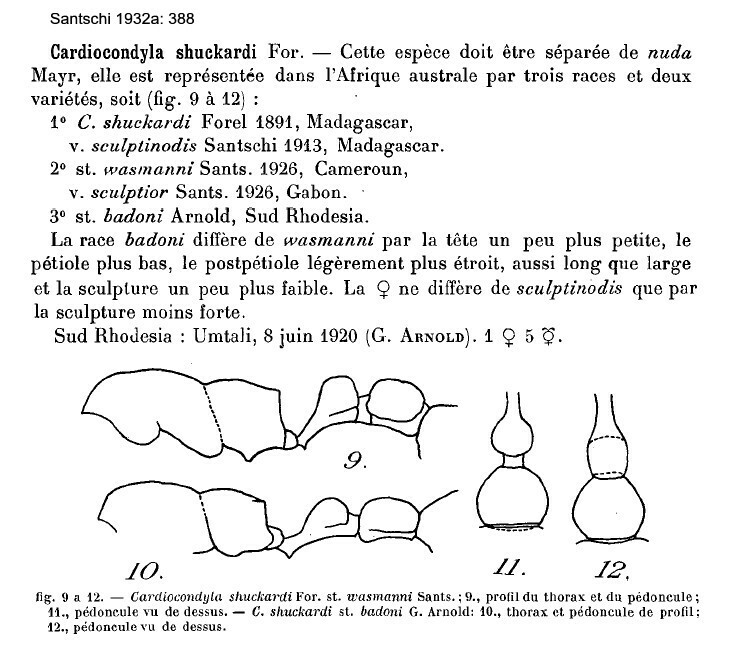 The remains of a type worker and the fresh worker from Congo (shown below) are distinctly more heavily built than the type of Cardiocondyla shuckardi and the description given by Seifert (2003). 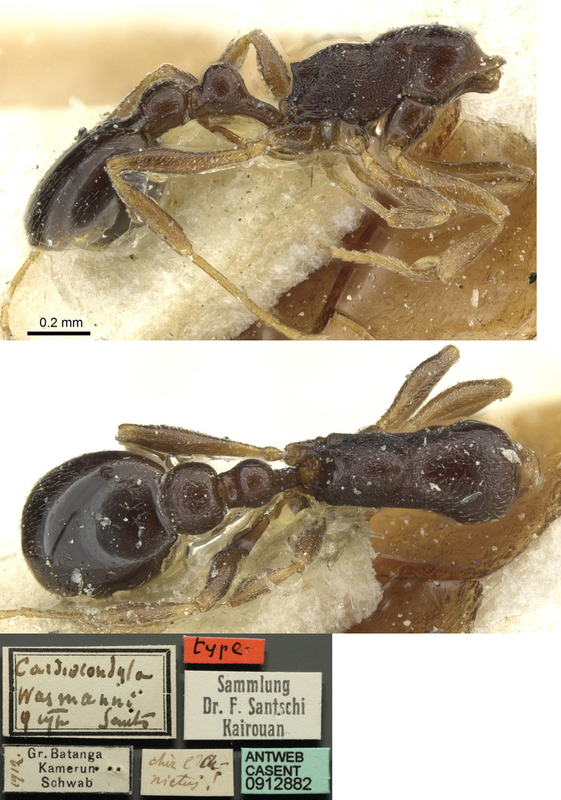 They, however, appear to match the description given by Bolton (1982, illustrated, full-face view, whole body profile) WORKER - TL 2.0-2.6 mm; medium brown to blackish-brown. Other features separating it from shuckardi are the more pronounced sculpturation on the head and alitrunk. It seems a typical Boltonism that he gave a blanket synonym of old forms. In this instance he wrote - " in extreme cases the dorsal alitrunk may be almost smooth". 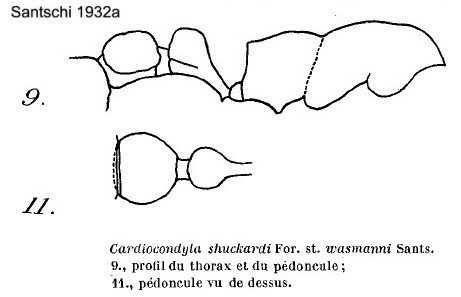 That is exactly as displayed by the schuckardi holotype. 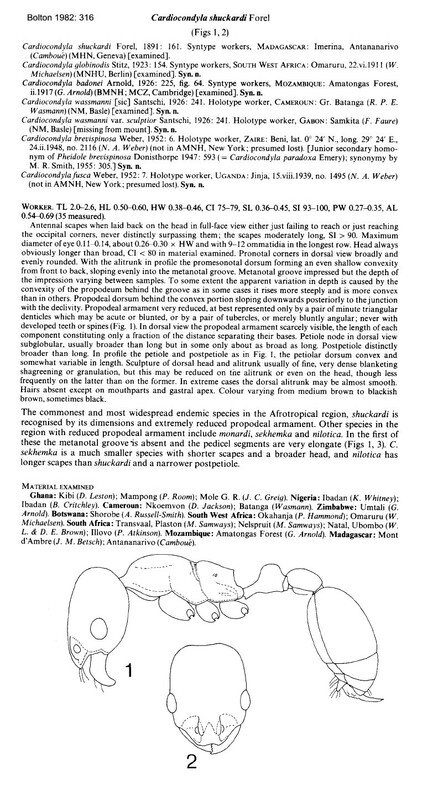 The wassmanii specimens have a distinctly double domed profile to the alitrunk; the pedicale segments have a more rectangular profile. The photomontage is collated from specimens from Congo, Brazzaville; collectors Yves Braet & Eric Zassi (pitfall t 1.1).